Pontiac may have ceased to exist as a brand in 2010 but there's just no question that it produced some of the most iconic cars in American automotive history. Introduced by General Motors in 1926 as the companion marque to GM's Oakland division, it was named after the famous Ottawa chief who gave his name to the city of Pontiac, Michigan where the car was produced. For most of its life the brand was a companion to Chevrolet and was marketed as the performance marque of GM. Even today it's still common to see a sporty G6 on the road or mint Firebird at an auto show. In all honesty, it really isn't hard to understand why the brand was so loved. Unfortunately, due to the changing nature of the economy and the huge down turn caused by the recession of 2008, GM simply couldn't keep the brand afloat so it was sacrificed along with a slew of other marques. Although it may seem like a lot of time has passed since production of Pontiac cars ended, the brand does have a remarkable staying power and attraction that make it unlikely that they will vanish from sight any time soon. In fact, they still have such a cult following that there are a number of groups who are petitioning GM to bring it back. 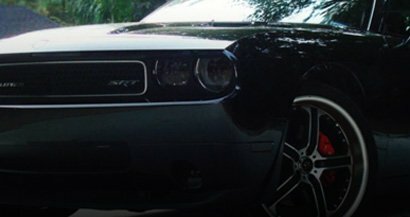 Just a quick search on Google delivers loads of results with Facebook groups and websites dedicated to bringing Pontiac back. Here at Rvinyl too we still see a number of custom Pontiac dash kits go out the door everyday so it's really no surprise when we hear that people are still looking to modify and upgrade their beloved G8s and Fieros. In the last two decades of its existence Pontiac design both in terms of its interior trim and exterior cladding was constantly beset by problems which were largely budgetary in nature as well as a result of its design by committee (see the atrocious Pontiac Aztek if you need an example of the latter). Largely due to the fact that GM was simply carrying too many different divisions Pontiac designers were often forced to share components with other brands which resulted in both aesthetic and performance failures. In terms of the quality of materials one could also see that something was lacking especially with the Grand Am and Grand Prix editions that were released in the mid-1990s. Cheaper plastics and composites were used in the interiors which gave the dashboard and door panels a drab, lifeless appearance. Fortunately for Pontiac enthusiasts everywhere, GM's failures to up the ante in terms of design and materials is the perfect opportunity for aftermarket restyling. Several well-known and respected companies such as American Car Craft, Benevento, Automaxus and Rvinyl have stepped up to provide customers with custom interior trim for all makes and models of Pontiac vehicles. So, whether you're looking for stainless steel trim accents from ACC or carbon fiber dash kits you've come to the right place to find them.